WASHINGTON, D.C., November 14, 2016 – Sustainable, responsible and impact investing assets now account for $8.72 trillion, or one in five dollars invested under professional management in the United States according to the US SIF Foundation’s biennial Report on US Sustainable, Responsible and Impact Investing Trends 2016 which was released today. The biennial Trends Report—first conducted in 1995 when ESG assets totaled $639 billion—provides comprehensive data on US asset managers and institutional investors using one or more sustainable investment strategies and examines a broad range of significant ESG issues such as climate change, human rights, weapons avoidance, and corporate governance. US SIF Foundation CEO Lisa Woll and Trends Report project directors Meg Voorhes, US SIF Foundation, and Joshua Humphreys, Croatan Institute, will host a media teleconference today at 1:00 p.m. ET to discuss report findings. 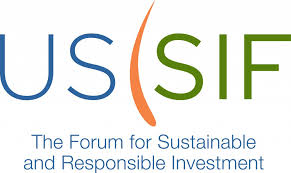 “The trend of robust growth in sustainable and impact investing is continuing as investment managers apply ESG criteria across broader portions of their portfolios, often in response to client demand,” said Lisa Woll, US SIF Foundation CEO. “Asset managers, institutional investors, advisors and individuals are moving toward sustainable and impact investing to advance critical social, environmental and governance issues in addition to seeking long-term financial returns. The significant growth in ESG assets reflects demand from individual and institutional clients, growing market penetration of SRI products, the development of new products that incorporate ESG criteria and the incorporation of ESG criteria by numerous large asset managers across wider portions of their holdings. $2.56 trillion in US-domiciled assets at the start of 2016 held by 225 institutional investors or money managers that filed or co-filed shareholder resolutions on ESG issues from 2014 through 2016. These two segments of assets, after eliminating double counting for assets involved in both strategies and for assets managed by money managers on behalf of institutional investors, yield the overall total of $8.72 trillion, a 33 percent increase over the $6.57 trillion that the US SIF Foundation identified in sustainable investing strategies at the outset of 2014. The top reasons managers report incorporating ESG factors include client demand (85%), mission (83%), risk (81%), returns (80%), social benefit (79%) and fiduciary duty (64%). The number of investment vehicles and financial institutions incorporating ESG criteria continues to grow and includes mutual funds, variable annuities, ETFs, closed-end funds, REITs, and other alternative investments. The leading ESG criteria that institutional investors consider are restrictions on investing in companies doing business in regions with conflict risk (particularly in countries with repressive regimes or sponsoring terrorism) and consideration of climate change and carbon emissions. While the number of institutions and money managers actively involved in filing shareholder resolutions has remained relatively stable over the past four years, the proportion of shareholder proposals on social and environmental issues that receive high levels of support has been on the rise. Further, money managers and institutional investors are pursuing engagement strategies on ESG issues in addition to filing shareholder resolutions at publicly traded companies. For additional Trends Report findings and information please visit www.ussif.org/trends This material was created by US SIF. Variable annuities are suitable for long-term investing, such as retirement investing. Gains from tax-deferred investments are taxable as ordinary income upon withdrawal. Guarantees are based on the claims paying ability of the issuing company. Withdrawals made prior to age 59 ½ are subject to a 10% IRS penalty tax and surrender charges may apply. Variable annuities are subject to market risk and may lose value. Alternative investments may not be suitable for all investors and should be considered as an investment for the risk capital portion of the investor’s portfolio. The strategies employed in the management of alternative investments may accelerate the velocity of potential losses.